There are many articles on parents with estranged adult children. This article however will touch on adult children with estranged parents. When people hear about the loss or the impending loss of an estranged parent some people feel shocked and unprepared to experience the range of emotions of grief. They may struggle with a wide variety of things that they will have to be consider in a very short period of time. Funeral attendance, flights across the country, other people’s feelings and their own feelings. The loss may leave them mourning not only their estranged parents death but also the loss of an imaginary, what-may-have-been relationship. Sometimes people find out about the death of their parent in an insensitive way. Maybe they found out after the fact in obituaries or through the “grape-vine” of other estranged family members. Communication in estranged family relationships are sometimes non-existent. It is not unusual for major events – even a death – to not be communicated. They may assume that they were left out with evil intent when it’s possible that the family of the estranged parent has perceived the relationship to be so strained that the person wouldn’t want it communicated. Grieving that the relationship now has no chance of mending. Often at some level there is an unspoken hope that the relationship might be restored. Death closes the door on reconciliation. Words are left unsaid and the feelings still remain, sometimes without closure. Grieving the loss of a part of heritage. Even though the relationship with the parent wasn’t strong, the death involves someone who is a part of their lineage and the chance to learn about the other half of their family may be gone. Grieve what might have been. People reflect on a time when they loved the parent, or wanted to love them. Although there may not be a longing for things to change, there is a feeling of melancholy that things were not different. The death of the parent brings to mind ideas of how the relationship should have been. After the loss, the dream for a better relationship remains only a dream, and in many cases people grieve the death of the dream rather than the loss of the person. Some people experience apathy to the loss of the non-existent parent in their lives. It is entirely possible that they dealt with the grief of loss when they were first estranged. The length of time and purpose of the estrangement greatly affects each persons response. Regardless of whatever expectations they think society has placed on them for handling the loss of an estranged parent, they have experienced a loss and they are allowed to grieve. Giving them space to grieve without judgment is important. People may express deep sadness and remorse for the wasted years. Missed phone calls or chances to re-connect and opportunities lost. Remind them to not waste the rest of their life looking back at what could have been. Talking about the past can be cathartic and open doorways to recovery. Though sometimes people don’t realize that reciting a general litany of of unhappiness is one of the main reasons they stay stuck. The goal is to become emotionally complete with what happened so that they don’t need to be a current victim of what happened in the past. It’s bad enough that they were mistreated and/or harmed, but remaining stuck in the destructive mental repetition can prevent them from moving forward. Remind them that forgiveness isn’t saying that the estranged child ‘accepts’ or ‘approves’ what happened. Forgiveness is the acknowledgment that what happened, happened, and that they are now ready to let go of the baggage. Forgiveness isn’t always about the other person, it’s about moving forward. “They were an awful person, why do you even care?” Invalidates the feelings of the grieving person. They are trying to figure out their own emotions in the situation. They may be feeling confused or upset that they care about this person too. They may be upset that they care for this person at all, adding even more to their confusion and grief. Invalidating their feelings may make them feel like they aren’t allowed to express them at all. When will you feel better?” Expectation for a timeline for grieving puts unnecessary pressure on the griever to just get over it and again reinforces that they aren’t allowed to express their emotions. “You didn’t even know him/her” amplifies what the griever is probably already thinking. Knowing this doesn’t take away from the pain of being unable to connect to their estranged parent, in cases it might even be the primary cause of their grief. I thought we‘d never speak again: The Road from Estrangement to Reconciliation, By Laura Davis. She weaves powerful accounts of parents reconciling with children, embittered siblings reconnecting, angry friends reunited, when war veterans and crime victims meet with their enemies, to her own experiences reconciling with her mother after a long, painful estrangement. 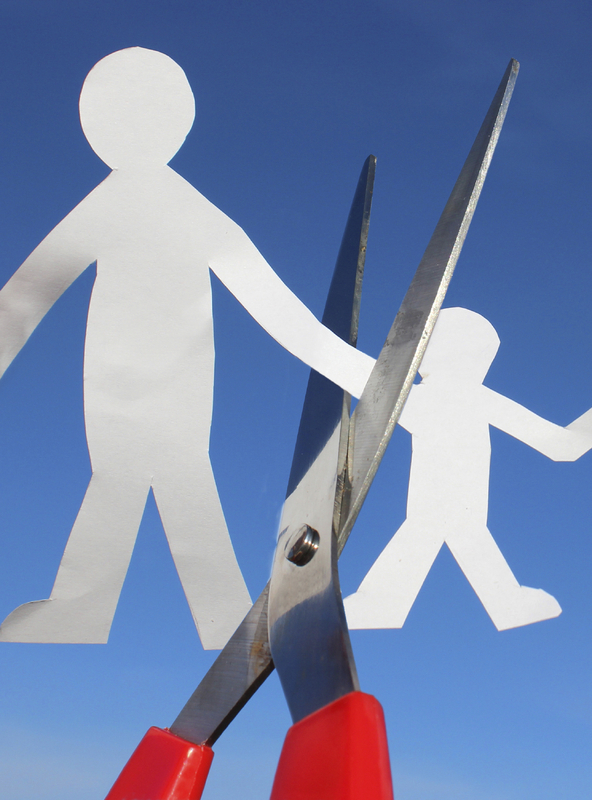 Healing Family Rifts: Ten Steps to Finding Peace After Being Cut Off From a Family, By Mark Sichel. Family therapist Mark Sichel addresses the pain and shame connected with family rifts and offers a way through the crisis and on toward healing and fulfillment. Family Estrangements: How They Begin, How to Mend Them, How to Cope with Them, By Barbara LeBey. Working closely with two family therapists, Barbara LeBey offers a set of tested guidelines to help you approach alienated or angry family members, deal with your own issues, and mend your broken family relationships–even if you think it may already be too late. Liberating Losses: When Death Brings Relief, By Jennifer Elison and Chris Mcgonigle. Sometimes we are relieved that our loved one is no longer suffering; at the other end of the spectrum, a death might finally free us of an abusive or unhappy relationship. In this groundbreaking book, the authors share their own and others’ stories, compassionate clinical analysis, and pragmatic counsel with other disenfranchised survivors. Toxic Parents: Overcoming Their Hurtful Legacy and Reclaiming Your Life, By Susan Forward. In this remarkable self-help guide, Dr. Susan Forward draws on case histories and the real-life voices of adult children of toxic parents to help you free yourself from the frustrating patterns of your relationship with your parents — and discover a new world of self-confidence, inner strength, and emotional independence. Adult Children of Emotionally Immature Parents: How to Heal from Distant, Rejecting, or Self-Involved Parents, By Lindsay C. Gibson. clinical psychologist Lindsay Gibson exposes the destructive nature of parents who are emotionally immature or unavailable. You will see how these parents create a sense of neglect, and discover ways to heal from the pain and confusion caused by your childhood. The AAB exists as an organization to provide wide and varied resources, designed to help expand your knowledge about topics within the realm of long term and bereavement care. Join us so that you can share in the benefits of membership, from worldwide events to local learning opportunities in your area.